We keep track of what matters to us the most. Real talk…..do you consistently find the time to make sure your business finances are in the “black” while you’re “too busy” to keep your mental, physical and spiritual well being out of the “red”? The irony is that most BOSS ladies juggle a non-negotiable “to-do” list larger than most and yet when it comes to doing the things to maintain a high level of energy, mental clarity, and long term health we make those choices optional. What is it that makes us think it’s ok to be financially prosperous and physically bankrupt? The great news is that you know how to get on your grind and push through tough times. You know how to dig in and climb some really steep hills. Being an entrepreneur isn’t for the soft, the easily discouraged, or the complainers. Now how can you use all of those amazing skills when it comes to taking care of your mental, physical and spiritual well being? I’m glad you asked! The first decision you have to make is to create your non-negotiable list. When I recommend high structure to my clients self care regimen it’s always interesting to me that executive level women or a 6 figure entrepreneur who started from scratch will start to morph into the equivalent of making “my dog ate my homework” type excuses. I was too tired to workout. I forgot my kids had soccer. I had an argument with my husband. I just didn’t feel like it. The list goes on and on but I want you to consider something difficult you do to make your business work and the number of times you complete that task when you don’t feel like it or when things in your personal life are out of control. It’s important to take the time to do this for 2 reasons. First I like for my clients to see that they really do have what it takes and secondly it’s realizing that they’re only doing what it takes in select areas of their life & with a DECISION they can expand those skills to other areas. These 3 are the most important because they touch your mental, physical, and spiritual “self”. 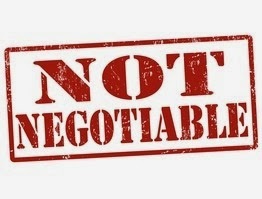 The next step is to plan for these 3 non-negotiables. I like to use popups in my phone to remind me to pray and then use a timer for meditation. Meditation doesn’t have to be putting your big toe behind your left ear. It can be while you’re taking a shower or while you’re running. Sometimes when I run I do what I call a gratitude run where I will go through the alphabet and with each letter give gratitude for something or someone in my life. The point is to DO IT. Finally you must schedule exercise. Take the time to forecast your week just like you do in your business. What days are so packed that you know that if you don’t exercise first thing it’s not going to happen? What days will you end early and you can put in a great spin class before dinner? For BOSS ladies every week is different but that’s not a reason to just stop your self care. You don’t stop making money on days you don’t feel like it and you have to have that SAME mentality when it comes to your mental, physical and spiritual “currency”. You cannot give and give and give and it never come back to negatively impact you. It’s no different than constantly making withdrawals from your bank account and not taking anytime to make deposits. So that’s my final challenge to you…..make a list of what will be non-negotiable moving forward when it comes to your mental, physical, and spiritual well being. Have you ever struggled with a sense of worthlessness? If so, you are not alone. The one thing that I have learned in life is that many people struggle with feeling unworthy of great things. This struggle of worth may be personal, in the marketplace, as an entrepreneur and even in knowing our place in the world. The reality is that I have struggled with a feeling unworthy too –personally, in ministry, and professionally. These thoughts of worthlessness will keep us from moving forward. For this reason, it is important to know that others do not determine our self-worth. We must be the one to determine that we are worth seeing the world! In 2001, I took my first trip abroad to study law in Beijing China. At that time I had a two year old daughter, I was on the brink of breaking my engagement and I had very little money. However, I was determined to step outside of my comfort zone even though I felt like a fish out of water. Eventually, I earned a Certification in Chinese Law and interned in the International Business Law Division at one of the oldest law partnerships in Beijing. It was a great experience and I was excited. However, I faced my lack of self-worth when I returned home. What was my issue? I thought about being called stupid as a kid. I recall feelings of shame because I saw no other single moms in law school at that time. I told myself that there was no way a single mom from the south side of Chicago could do business law and definitely nothing that impacted other countries. I know many other people have struggled with not feeling worthy of the best that life has to offer. I felt unworthy, despite the fact that I studied in China and despite the fact that the prior summer I reviewed global warranty contracts for a company on a temp law clerk assignment that was extended beyond my allocated time. I notice that I allowed the words spoken over my life to shape my thoughts about myself. We can address this feeling in inadequacy in several contexts. However, for the purpose of this blog post we will focus on how thoughts of our worth impact how we see ourselves from our local workplace to the global market. Why do I provide such an expansive view? I provide an expansive view because your sense of worth will determine the things you do and places that you go in life. I want to help you live a life of unlimited potential and I want to help you understand that you can be effective working in your current location or across the globe! In order to make choices about your career and your potential role in the market place you must determine how you value yourself. Do words of others make you feel worthless? Do experiences on the job (or growing your business) make you feel inadequate? Do you let the accomplishments of others make you think less of yourself? Our sense of self-worth is ultimately embedded in our belief system. To determine your worth you must consider your beliefs about yourself. If you let people make you feel worthless you may be subconsciously presenting yourself as unworthy of the best opportunities available to you. It is important to realize that your worth is not determined by how someone values you. 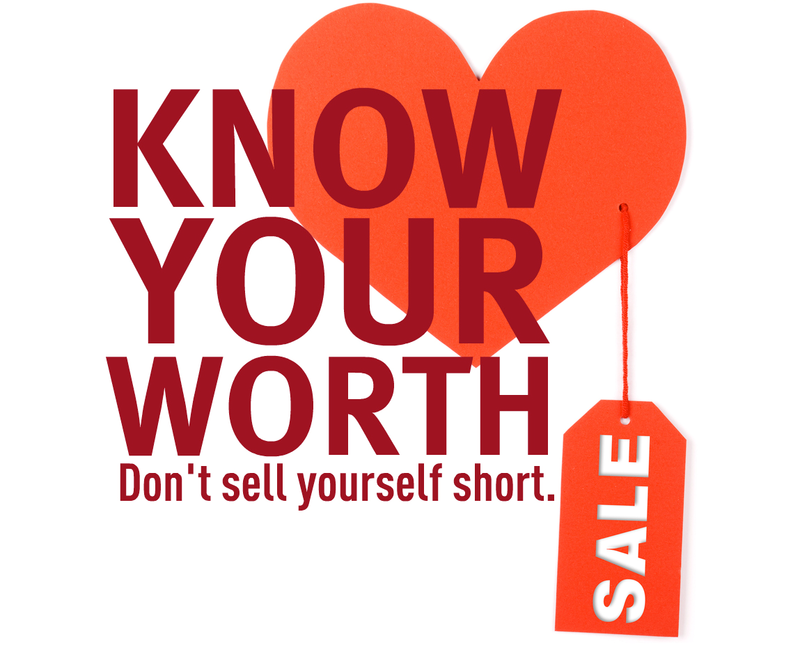 To the contrary, your worth is based on how you value yourself. A company or a business associate may not value your skills, but that does not mean that your skills are worthless. Take a moment to write a list of how you truly feel about yourself. Once you have done that, consider any negative self-talk or negative memories and recall what may make you feel worthless and replace this talk and memories with statements of worth and value. Once you have determined your value and worth you can move forward. In moving forward, remove all limitations off of your mind and dream big. You can brand a local, national or international business if you position yourself for the opportunity. 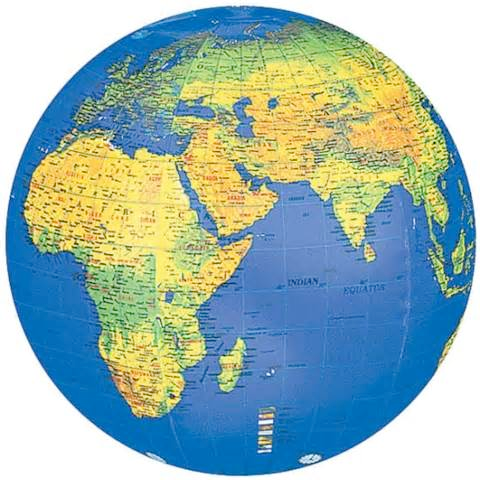 You are worth doing business all over the world just like any other business person or company. Do you know that you are unique? Do you understand that no one can do what you do how you do it? Do you really recognize that no one can be you? It is important to understand that you were created with unique gifts and talents that have the potential to impact people around the world. The truth is that people may have similar skills, degree(s) and experiences as you, but they can never be you. You must identify your unique characteristics and recognize that these unique things about you are valuable. No one can accomplish your business goal like you. No one can create the services you present and how you do it. What is your special touch? Identify what you bring and own it! Everyone has a brand! Sometimes people think that they do not have a brand if they are working for someone else and that’s not true. Everyone has a brand identity because everyone is known for something whether they realize it or not. What are you known for in the workplace? I know you may be wondering why I am asking you this question if people do not determine your worth. Well, I am asking you this question because you need to know what messages that you are delivering to other in your midst. If you want to be viewed in accordance with your worth you need to brand yourself accordingly. If people have a negative image about you is it incorrect or are you failing to face some things about yourself. I know some women who have arrogant, mean and a pushy demeanor in the workplace. These same women wonder why they get skipped over for major workplace assignments. The reality is that people do not want to spend consistent time with people they do not want to work with. When you identify your brand you must present yourself like your brand is valuable and you must demonstrate the worth of your brand. By taking charge of your brand, you are then able to articulate your worth in the workplace and consider seeking opportunities to expand the reach of your brand. You are the Chief Executive Officer of your life. You make the executive decisions about your situation and how to execute a plan that you profit from. You determine if you see yourself as another individual in the rat race of life or another hamster on a wheel running hard and getting nowhere. As the CEO of your life, you determine your workplace strategy, how to market your skills, and how to advance. As the CEO of your life you are in charge. In other words, you determine your worth and align your personal strategic plan to operate in your true worth. For instance, I decided I wanted to pursue opportunities in International Law. I did not wait for someone to invest in me I had to conclude that I was worth investing in myself. In the workplace you have the ability to demonstrate your worth by maximizing opportunities and by highlighting your accomplishments. When you are the CEO you make the best decisions for you and that decision is final. Furthermore, as CEO of your life you should always have an upward mobility and exit strategy. Look at your current situation and determine how to maximize your own worth then strategically plan to take action steps for advancements and growth. From my perspective, knowing your worth means understanding that you are not forced to work in one location or with one group of people. I previously stated that I studied in China, but I didn't think I was worth traveling abroad, ministering abroad, or handling business issues that impacted other countries. Why did I think that way? I thought that way because I didn't know anyone involved in global ministry efforts or international business. I had dreams of doing these things even when I didn't understand it, but I also had very limited experiences being outside of Illinois at that time. I had to eventually face the fact that I had a limiting mindset that would not allow me to see or impact the world. Since that time, I began to seek opportunities to enlarge my mindset and I encourage you to do the same. As a global success strategist, I help people perform a paradigm shift so that they “think global” because no matter what you do, there is potential for global impact if you recognize it. With anything in life, the wider you cast your net the greater the possibility of your catch. Cast your net beyond where you are today; you may find that many people recognize your worth around the world. Do you! Your worth is not based on how great you are at walking down the path of another person or embracing someone’s life journey that is not meant for you. You must be willing to do what it takes for you to receive what you are worth. As the CEO of your life, must a trailblazer and you must be a mover and a shaker. If you want to live YOUR life to your fullest value you must be willing to create new paths. Your must know your own worth and refuse to let others decide your life journey for you. In conclusion, I hope that you recognize that your worth from the workplace to the global markets is determined by you. 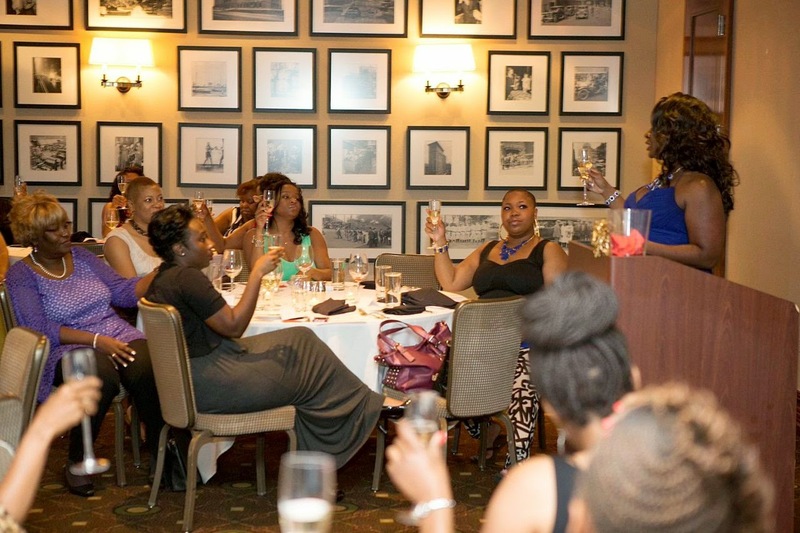 Self-worth and taking steps to embrace personal change to move forward in life was a key message at my “Date with Destiny” event last year at the Metropolitan Club. I wanted women to know that they were worthy of attending a workshop and dining at the best private business club in Chicago. I wanted people to face thoughts of feeling as if they didn’t belong, because I had to face them. Once you face your own mindset and how you may have let others influence your life, you can start making immediate changes by understanding your unique characteristics. You are your brand so present yourself with the highest value and worth that you can imagine and do not change your brand due to obstacles or the words of others. As the CEO of your life, seek to maximize the essence of who you are and do not allow external things to diminish the understanding that you have about your worth and value. As you consider your worth, I ask you to expand your sphere of influence to the global marketplace. For many years of my life, I couldn't think beyond Chicago and that mindset limited the opportunities that I sought. Now, I see myself touching lives around the world so I “think global” and I encourage you to do the same. Finally, create your own path. When you know your worth you know that you have the power to shift into something new in the workplace and that you can walk in any room bringing the best you to the table. I end this by asking you to make this declaration daily, “I am a person or unique value. I will maximize my potential and I receive opportunities to increase my sphere of influence. I am like a rare gem that is precious and have a market value beyond compare. I am a woman of worth.” Cheers to your success! 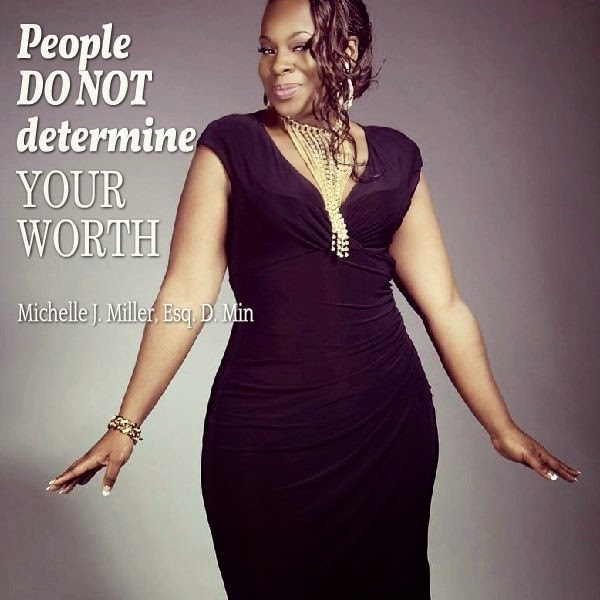 Connect with Michelle J. Miller on Twitter @michellejmilleror on Instagram @iammichellejmiller and look out for her new and improved website later this year, MichelleJMiller.com for more information, book releases and event announcements. As an Entrepreneur you are a leader. Whether you want to be or not, people are looking at you to lead because you have started something. Some leaders are good and some are great. I don’t know about you but I’d rather be great. If we look at history until today we can all think of some great leaders: Martin Luther King, Jr., Abraham Lincoln, Oprah, Bill Gates, Sara Blakely, and more. There is no such thing as an island and no one becomes great by their own efforts. If your goal is to become a better leader, you have to begin to do the things that leaders do in order to become wildly successful. Implement these strategies and become great in your own right as an entrepreneur. Delegate: Google is a huge international brand. I can’t tell you how many times I go to Google in a day. I would estimate between 8-10 times. Most would agree that Google is a great company. However, there is no way that Google could have become what it is today without the help of many people. Larry Page and Sergey Brin founded Google. Their goal was simply to get information into the hands of users. They want it to make it easier to find and share things. Yes they had a great idea but knew that they needed help to bring this dream to pass. This is where delegation comes into play. You have to know how to give away tasks to expand your business. Many entrepreneurs are good in a lot of areas but you can’t do everything. If you want to grow your business, you have to share your “to do lists” and let others chip in. If you can do this effectively you will look up and have your own building with an advertising departments, accounting, human resources, design, sales, and more. Doesn’t that sound like a dream? Dreams become reality. Learn to delegate. Give Creative Control: When working with a team you want the best ideas out there. If you already have employees or a good dream team then you are several steps ahead of the game. To expand as a leader you need new and innovative ideas. We all have a vision in our heads of the way we want our businesses to be. However, your employees and dream teams may have ideas that are just as good and even better. After all they are with your business just as much as you are. When giving away projects give your team the opportunity to have creative control. When people feel as though they have freedom, you tend to get their best work out of them. Nobody likes to feel as though they don’t have freedom or a say in the work in which they do. If you can find ways to give your team creative control, they can assist in taking your dream to the next level and will be glad from being given the freedom of creative control. Invest In Others: Many people are working but not living their dreams. You know this as an entrepreneur. Entrepreneurs are natural risk takers but that doesn't mean that your employees and dream team are as bold as you are to strike out on their dreams. You can become a better leader by investing in their dreams. If you know that one of your employees loves to write and has a dream of becoming a writer one day. Allow them to write the business newsletters and correspondence. Who knows? You may re-awaken their dream to write their first book. As a leader it is your job to help others live their purpose. Recognize their gifts and use practical methods and tools to enhance it. Focus: The greatest leaders of our time eliminated all distractions. We all must increase our focus. When distractions come, this means that something isn't getting done or it’s taking longer than needed to complete a necessary task or project. How can you become better at focusing? It could be as simple as not spending extra time to scroll on Facebook, shortening phone calls, closing your office door, or telling people you need an hour of space to focus. Do whatever works for you but you must focus. Great leaders are not easily distracted. Who Do You Answer To? 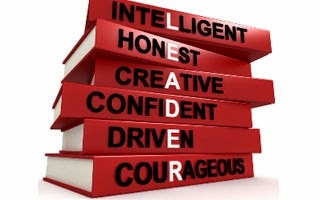 : All great leaders are accountable to somebody whether it's a mentor, spouse, or parent. Accountability partners are those individuals who hold you responsible for being great. If you tell them that your goal is to save $10,000 this year they will remind you of this goal when you are out shopping for shoes. We all need people in our lives who see the greatness in us and will remind us to be that daily. If you are an entrepreneur you are a leader. Do you just want to be a leader or do you want to be legendary? Legends are those who strategically plan their lives and utilize methods that get them to the next level in their evolution. They delegate, give others freedom, invest in their teams, focus, and remain accountable at all times. Implement a few of these methods daily and become a force in your field. Connect with "The Queen of All Things Domestic"
V. Taybron on Twitter @SaVorV & @VTaybronEvents. Check out V.on Facebook. Whenever I think of a new business idea, I check to see if the domain name is available. If it is, I purchase it- whether I have a business plan, strategy or even a full concept in mind. If the concept is on your mind, surely it’s on someone else’s too! Successful entrepreneurs have established trustworthy brands. In order to gain the trust of your clients, you have to establish yourself as an expert. The easiest way to do that is by blogging about the topics that fit your expertise, industry or interests. Blogging is free and allows you to have a voice! Do NOT. I repeat DO NOT use @yahoo @hotmail @me @aol or any other personal email extension. If you absolutely refuse to go through the proper steps to get an official @yourdomainname email, at least create a google account dedicated to your business or brand. Whether you want to believe it or not, consumers judge you based on your domain, email and social media FIRST! Google has a life saving toolkit for Entrepreneurs! They’re free services are amazing and the paid ones are even better! Not only can you organize your entire life with google calendar, you can create, edit, save and share documents with google drive, manage a team with google admin and share your content and connect with new people through google plus. PLUS, you can monitor and manage all of your website traffic and advertising sales with google ad words and analytics! Using social media for business is completely different than using it personally. When you launch your accounts it’s important to create a separate strategy for each, because they all serve different purposes and will benefit you in different ways. Twitter is a great platform for conversations, sharing random thoughts, tips and little known facts related to you and your brand. YouTube is perfect for mini lessons, tutorials and interviews and Instagram is a great way to visually represent your brand AND connect with hard-to-reach individuals. Facebook is great for connecting through causes and sharing your business with family and old friends. Unlike other networks, Instagram allows you to easily connect with celebrities, influencers and other people who can help you grow your business quickly. It’s important to create a plan of action for each. It’s important to keep your business calls separate from your personal calls, to protect your own space and sanity. If your budget won’t allow a local phone, or toll free business service AT LEAST get a Google phone number so that you don’t have to share your personal cell phone information. Believe it or not, professional photos are crucial to any business! Whether it’s new headshots for your bio page or crisp clear product photos for you new shop site, invest in professional pictures! As an Entrepreneur, you want to put your best foot AND face forward! Be intentional with each aspect of your business because when you love what you do, it will shine through. 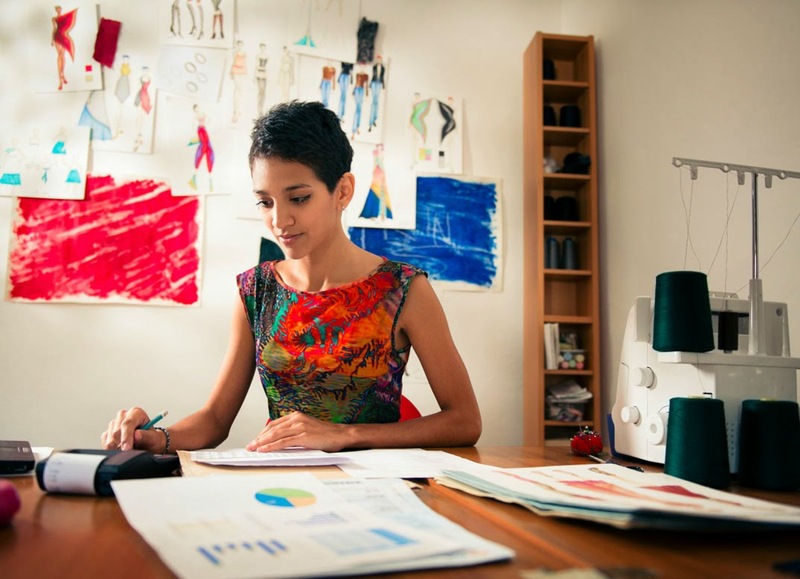 Take these resources and add them to your Entrepreneur toolkit!